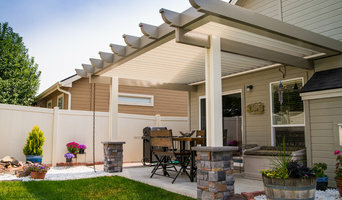 Treasure Valley's Leading Patio Covering Solutions 2x Best of Houzz! Least expensive and fastest products to your door! LUX Materials is a family owned and operated business that is all about its customers. LUX was created while looking into cable railing for a home we had purchased. This stuff is pricey! Not anymore! We provide only the best materials to make your home or office stand out. We are glad to customize and walk through your project to ensure everything you need arrives the first time and in time. Please reach out anytime! Everything we offer is of the highest grade T316 Marine Grade Stainless Steel, from our Cable to each of our fittings. Modern Concrete is the Treasure Valley's resource for all your residential & commercial concrete needs. We provide excellent service, quality work, and have many options to choose from. We do new installation, replacements, repair and extensions of patios, driveways, curbs or gutters, sidewalks, walkways, pad sites and more. Our add-on options include textured, stamped and/or colored concrete as well as refinishing, staining, and sealing. If you're looking to have some concrete work done, email or give us a call for a free estimate. We offer Contractor Discounts and Military Discounts. Sundance Log and Timber has been in the Log and Timber framing business since 1996. Located in Nampa Idaho, we are a full log and timber supplier and fabricator. Sundance sells and produces only the highest quality Logs, Timbers, and Lumber products. Over the years Sundance Log and Timber has built and supplied projects all over the North West from handcrafted custom built resort homes to small rustic cabins in the back country, and everything in between. Below is a list of some of our products and services. 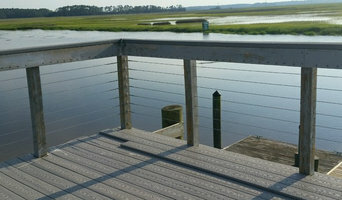 Idaho Decking and Outdoor Living is a company which focuses on outdoor living spaces. Designing and building outdoor structures such as decks made from composite or wood materials, pergolas, fences, hot tub decks, garden boxes, and much much more. We love design and working with wood or composite materials. 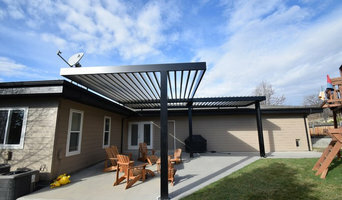 Patio Covers Unlimited is a family owned business that began customizing homes in Boise, Twin Falls, Meridian, Eagle, Nampa and all of the Treasure & Magic Valley. 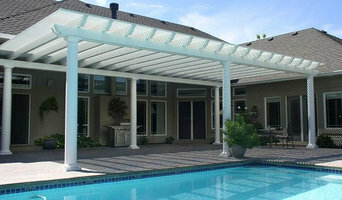 We’ve provided quality patio covers, sun rooms and carports in since 1993. At Patio Covers Unlimited we pride ourselves in friendly professional service, combined with high quality patio cover products at competitive prices. 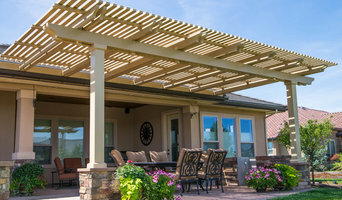 Woody's has been building decks and Pergolas in the Treasure Valley since 1986. We are a family owned and operated company so when Woody's builds the deck or Pergola of your dreams no strangers show up on the job. Rest assured that Woody, your Contractor, will be performing the work. We are licensed and insured in the State of Idaho with an impeccable reputation. Be 100% assured that when we build the deck or Pergola of your dreams we will deliver the high quality workmanship and finished project you expect and deserve. Be equally assured that we'll will stand behind our work should any rare problem come up in the future. We do quality and we stand behind you and our work. Riverstone Concrete Inc, offers professional concrete services to the Treasure Valley (surrounding Boise areas). Our highly trained employees have the expertise to handle a variety of jobs, including foundations, flatwork, decorative concrete, stamping, coloring, basements and more. A commitment to value, customer experience, and exceeding industry standards has made Steelhead Construction an industry leader. Getting there required a true understanding of the construction industry, as well as what people expect in the first place. Steelhead Construction is a company made up of industry professionals where everyone believes quality and the overall customer experience is the true measure of value. The company was founded by Aaron Wright in 2003 with one thing in mind, giving each customer what they deserve. This has been the driving force that has shaped Steelhead Construction and its employees. Years later this driving force is still visible in every employee and completed project. Whether it’s a new or an existing home, the Steelhead team has your value in mind. Value is something that truly cannot be quantified in the moment, however can be completely realized in the future, when the product has reached the end of its life. At this point an individual can look back and determine the true value of their investment. This is why the sustainability of every project and the experience it provides is of utmost importance to our team. Your chosen specialist will run through your options based on your available budget and space, and discuss potential stumbling blocks such as building regulations and planning approval. A shed is typically counted as a temporary structure but every planning authority will vary in its requirements and Boise, ID shed builders can help work through this with you. Many summerhouses on the other hand will warrant planning permission due to their size and more permanent nature. When it comes to patio installation, or decking installation in Boise, ID, you will certainly find working with Boise, ID decking installers and patio pavers will lighten the workload and ensure your new garden feature offers a great outdoor space for years to come! You may also want to work with a garden design professional to plan your garden space before engaging a patio or decking installation professional in Boise, ID. This decision may in the end come down to the space you have available for your garden room. Today, there are many specialist Boise, ID shed builders that offer high quality sheds in attractive and colourful designs that can easily be transformed into compact outdoor rooms. At its simplest construction, a garden shed is obviously a very useful storage place, whilst a summerhouse typically works as a real garden showpiece, there as a garden room to be enjoyed come rain or shine. And it can be constructed in almost any style you wish. How about a traditional log cabin or something more contemporary such as an energy-efficient modular design or a Scandinavian summerhouse of interlocking construction? Customise your summerhouse with lighting, heating and even internet connectivity depending on the core use, whether that’s a separate workspace, home gym or sun-bathed hideaway. A summerhouse can look overbearing if it’s more than a quarter of the total size of your garden so, again, check with your specialist to see how big is too big. Patios are a great place to entertain friends and family over a juicy barbecue and bottle of wine on a balmy summer’s evening. A patio looks particularly good at the front of a large garden, teamed with cast iron patio furniture, and can be constructed from a number of different materials such as stone, brick and concrete. Your Boise, ID patio designer or patio installation specialist will be able to plan an attractive patio design which can range from a simple regular tiled layout to complex mosaic patterns. Alternatively, hardwood decking is another great way to bridge indoor and outdoor areas, separated by sliding or French doors. If your garden is lower than your home, consider asking your decking installation professionals in Boise, ID to raise the deck to the level of the floor so you can step seamlessly outside. And it needn’t be a standard rectangular decking installation either. Go with the flow and add a curved border, accentuated by decking lights. If the kids are making you climb the walls, ask your expert to help you design a low-level play area, painted in bright colours and incorporating a sand pit. No kids? A gazebo or pergola will go well with that timber decking installation – the perfect spot for reading or snoozing. Search in the Find a Pro section of the website for Boise, ID patio and decking installers as well as shed builders and summerhouse manufacturers. You can also look through Boise, ID photos to find examples of decks and patios that you like, then contact the decking installation professionals in Boise, ID who worked on them. Or look for photos of summerhouses or sheds that are tagged with the suppliers information.